Handmade in India. Wool 100%. 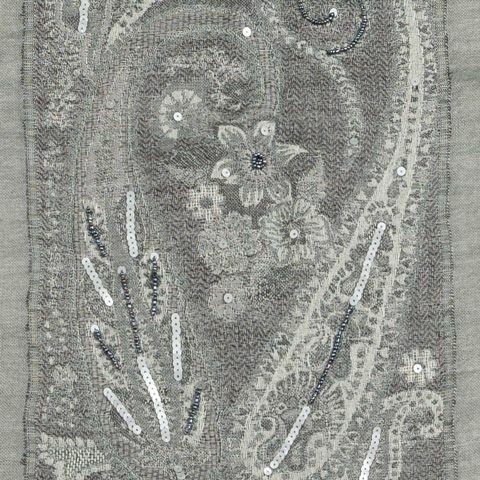 Light and airy yet warm and comforting, this scarf features delicate lace and a paisley design with hand-stitched sequin accents, in warm grey and olive tones. 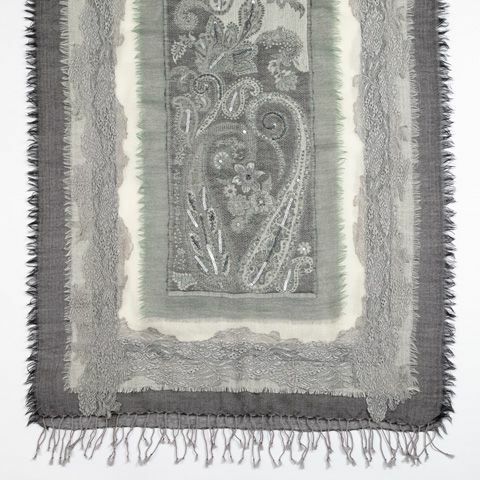 Stunning handwoven lace meets luxurious and soft pure wool, produced by hand in India for a truly beautiful result. Layers of delicate wool and lace are used to give extra volume and warmth - wrap around the neck or wear loose over the shoulders. 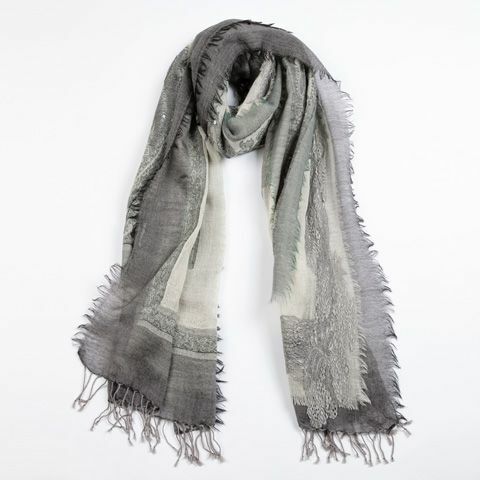 Each scarf is carefully made using advanced hand-stitching techniques that compliment the elegance of the materials and design, with layers woven together on the loom and hand cut for the final result.